Motorcycle events, Rallies, Ride-outs, Motorcycle Shows, Swap Meets, Rock nights, Charity runs, Toy Runs, Bike Meets, Biker Parties, Bike Rallys and more... Please check before you pack your tent! For facebook and twitter links - if it is in green click it! Please note - only events with 2019 included are confirmed. Live bands, DJ. Bike /Trike show. On-site canteen. Food and trade stalls. 24 hour proper loos and showers. 2019 sees the 12th year of this event, which bring together the motorcycling community and a large number of other participants. 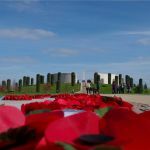 A memorial service takes place on the day; for further info refer to the website. price: £10, voluntary contribution. Merchandise available on the day or on-line. 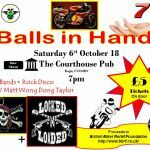 Join Rugby Riders Action Group for Rockabilly, Rock & some Rock 'n' Roll. Headline band Locked & Loaded. Proceeds to British Biker Relief Foundation. price: Pre-book: £8.50 by Saturday 30th September. OTG: £10, Accompanied children (under 14) free. 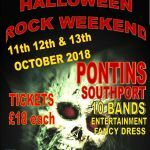 With Rock bands, Rock DJ, lots of trade stalls, charity raffle for the Northwest Air Ambulance, last man standing bars, all you can eat brekies and dinners, happy hours and a swimming pool! Steve will be sharing the uncut version on his hilarious autobiography “The Parrish Times”. The audience can join Steve as he tracks his amazing journey over the last four decades in surely the most dangerous & exhilarating sporting arena there is. venue: The Bacon Theatre, Dean Close School, Hatherley Road, Cheltenham, GL51 6EP at 7.30pm. price: £20. Pre booking advised. 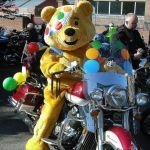 Celebrating the growing popularity of emerging and modern classics from the 1960's, 70's and 80's, the Carole Nash Classic Motorcycle Mechanics Show has grown in popularity year after year and now regularly welcomes more than 30,000 enthusiasts through its doors. Taking place at the superb Staffordshire County Showground the event features over 900 traders, dealers and autojumble stands offering a wealth of parts and spares for every project. There is a host of excellent club stands, exciting live action, the Bonhams autumn sale, classic off-road machines and special guest stars from iconic eras of motorcycling. price: Adult One Day £12 (adv) £14 (gate), Child Under 12 £3 (adv) £4 (gate). Free parking. 500+ privately owned and club vehicles on display, full concours overseen by leading commentator Les Clayton, trade and autojumble stalls, children’s entertainment and quality food and drink options. venue: The Three Counties Showground, Malvern, Worcestershire, WR13 6NW. Opening times: 10am - 4pm. Hazzard Disco until late plus live bands (tbc). Trade stalls inc food wagon. price: Pre-book: £18, by 23rd October. OTG: £20. Free drink for the 1st 100 Pre-Book. Car parking at £10. Blue Badge holders free parking, but badge must be displayed. Over 16's only. No campervans, no caravans and no dogs. Large indoor motorcycle only show for pre-1980 motorcycles with Club Stands and hundreds of machines on display. Large indoor and outdoor Bikejumble with new and used spares, bikes, clothing & accessories for sale. Free BikeMart display-to-sell area for private vendors. The Royal British Legion will be providing a Helmet Park in aid of the RBL. Great range of catering (previous events featured local free-range Hog roast, fantastic Italian smokerie, a bakers stall, toasty sandwiches and Real Coffee in addition to standard burgers). Well-behaved dogs on leads welcome. venue: South of England Showground, Ardingly, West Sussex, RH17 6TL (Eight miles from M23 junction 10, sign-posted SOE / Wakehurst Place.) Free parking, including disabled parking facilities and priority disabled access scheme so you don’t have to queue! price: OTG: £6 adults, £5 65+over, kids under 16 free. Cheap garage clear-out stalls available – just £10, contact to pre-book. If you'd like to enter your pre-1980 classic into the Show and can do so before 1st October, then you'll be sent a pass which will let you in for absolutely nothing. Visit website to download a free entry form. price: Pre-book: £18. Chalets from £30 pp (must be pre-booked. Two bands on over the weekend. Booze Brothers Rock Disco, food, fancy dress, fireworks, late bar, disabled access and proper loos. Free camping. MAG, NABD and BMF Affliated. Black Canyon City, dj bloke, food and free camping. With spooky decorations and theatrical props (great for taking photos), novelty Halloween prizes for children and adults wearing the best costumes and for those with the best “dressed” vehicles. A very special, free to attend, “Shock n’ Roll” Halloween party night, with DJ Bill Guntrip cutting the wax! Food wagon, late bar, free camping, prize for best fancy dress. price: £5 - one night party ?